It’s not often we have our crews cleaning up leaves, wrapping up landscape projects and plowing snow all in the same week but here we are. Our crews have done an awesome job adapting to the ever-changing working conditions and are getting the job done! This has been a record-breaking snowfall for our company. This is the earliest we have ever had to plow and with more in the forecast our snow removal crews are fired up for the season! 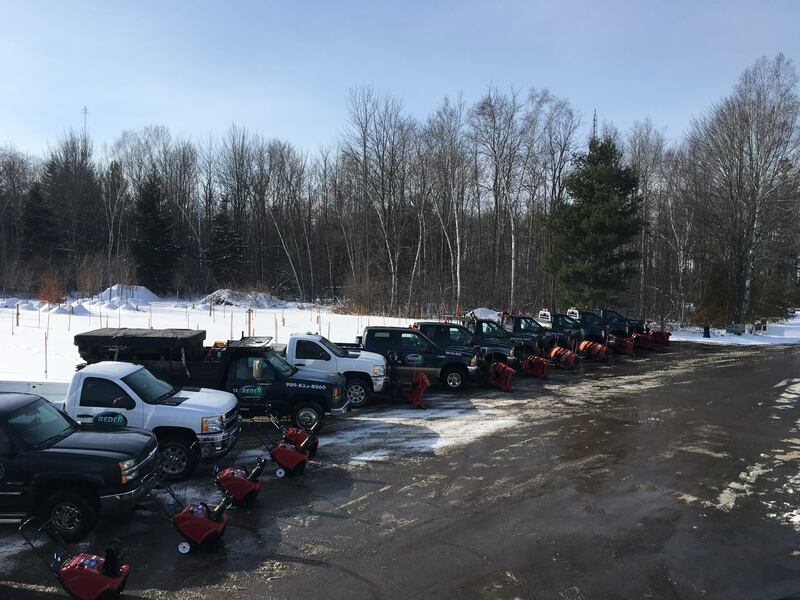 Whether you need residential or commercial snow removal, we can provide you with all of your snow and ice removal needs: Drives, parking lots, sidewalks, entryways… Wherever and whenever you need it, we have the right equipment and crews to get the job done. Hand shoveling up to 200 sq ft is included with every contract at no additional charge. We have established a 24/7 Snow Removal Hotline, monitored by our snow removal manager during each snow event. Any turf damage due to plowing that occurs will be repaired in the spring at no additional cost to you! If you have not received your free snow removal estimate call 989-835-8260 or follow this link.